Employers have substantial incentives to misclassify employees as independent contractors, and the government knows it – for instance, independent contractors have no right to overtime, minimum wage, FMLA leave, or unemployment compensation. And employers are not required to withhold payroll taxes when they use independent contractors, which results in a huge loss of tax revenue. Those of you who have attended my MEA Legal Updates know that I’ve been talking about the tens of millions of additional dollars that have been budgeted for the Department of Labor to ferret out these kinds of violations, and those efforts are underway, big time. In response to this most recent case, acting Secretary of Labor Seth D. Harris put it this way: “Misclassification of workers as independent contractors is a serious threat to their livelihood. Misclassifying workers also undercuts responsible employers, who must compete with unscrupulous employers who do not obey the law. 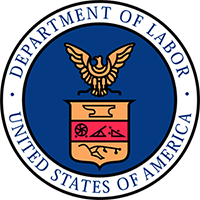 The Department of Labor is committed to ensuring that employees are classified properly so that they receive both the pay they rightfully earn and the protections to which they are entitled…”. Here’s the take away: Yes, you can save some money by classifying employees as independent contractors. But the enforcement push that is now underway should cause employers to seriously weight the benefits versus the risks of doing so.